Do you test your forms on real users and real devices? If not, you should. Let’s take a look at some of the techniques that can help you take your forms to the next level and help users fill them in. Why Do You This Information? Users might be reluctant to give you personal information if they don’t understand why you need it and what you will do with it. But sometimes you still need to ask for such information for legal reasons (like date of birth for a website that sells alcohol). Using field descriptions here will help users understand why this kind of information is needed. If your users need to find certain information somewhere else in order to fill a form, tell them where to find it. I worked on a mobile app that lets user track their house. Users needed to pair the app to the monitoring device using a serial number. It’s not very easy to find this serial number on the device; it requires some instruction. We added a little ? button next to the serial number field. The button opens a modal that shows a picture and some indication to help the user understand where to find the serial number on the monitoring device. Let’s stick with the booking business. Suppose the user needs to add multiple travellers to their itinerary. You can **replace the dropdown *with a* stepper** to select the number of passengers. A stepper is a control that allows the user to increase and decrease values simply by tapping on + and - buttons. That tends to be faster when fewer than six persons have to be added. It’s also more intuitive. Below is an example of a stepper used in the Android-native Airbnb app to select guests, and on the mobile-optimized website of Kayak to add passengers. I won’t get into the details of what kind of passwords you should require and how many characters they should be composed of — plenty of articles on that topic are on the web — just make up your mind about your password criteria. When users create an account, be proactive, not reactive. For the love of Cthulhu, don’t let people guess. 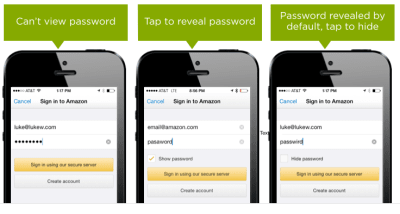 Tell users your password criteria up front. 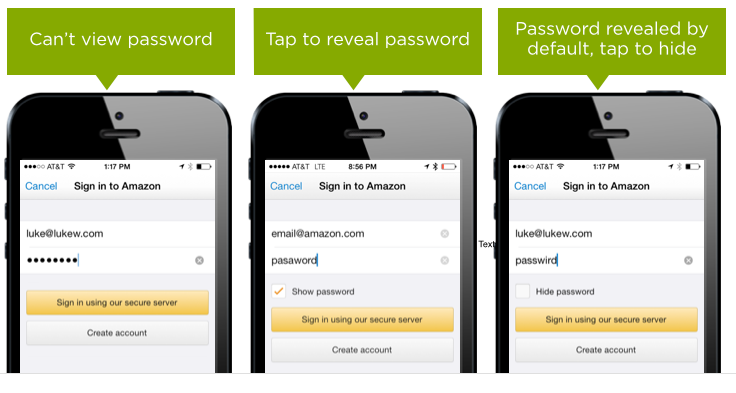 In a login form, a mask/unmask password option would tremendously improve the user experience.